When you think of jewelry, what comes to mind? For some people, fashion jewelry is worn as an ornamental accessory to compliment a wardrobe. For others, it allows them to express their personality or to make an artistic statement. Since the beginning of time, jewelry has been worn and given as a gift to be cherished, or to commemorate and celebrate special occasions. For whatever reason you wear and enjoy jewelry, our dedicated staff is committed to providing the highest quality designer jewelry, jewelry repair and jewelry services possible. Jewelry Designs is more than an online jewelry store. At our Connecticut gallery, master jewelers design and create fine works in platinum and gold, one piece at a time. This capability enables our artisans to create a high quality product that meets rigid standards. As the creators of a luxury product, our team of experts gives you confidence that the materials and workmanship are exceptional. Jewelry making is our life’s work, and we are eager to find every means possible to meet the high expectations of our customers. Our unique team of specialty jewelers seeks to provide a wide spectrum of choices using the best combinations of precious metals and gemstones to innovate original concepts. The creations range from vintage styles to the latest contemporary designs. Combining rare skills developed by old world craftsmen, with the state of the art technologies of today, our new age artisans incorporate techniques using torches, lasers, and CAD jewelry design to create the finest original jewelry possible. 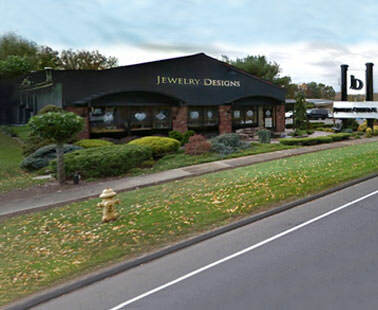 If diamond jewelry excites you, visit our Danbury, Connecticut shop. Known by many as the most unusual jewelry store in the northeast, our elegant showroom features the region’s largest selection of custom diamond jewelry. In addition to designer engagement rings, our gallery is glistening with earrings, necklaces, bracelets and diamond rings, crafted by our jewelers. As you enter our building, you will observe our artisans creating the diamond jewelry that is also displayed in our showroom. Traditional white, fancy yellow or black diamond styles, offer refreshing new ideas unlike those found in any other diamond store. 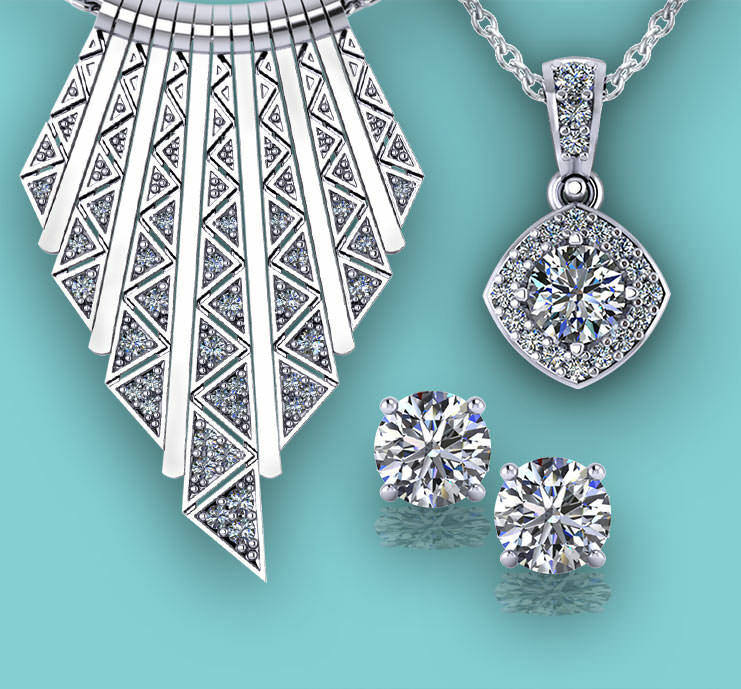 From simple diamond necklaces to one-of-a-kind and handmade jewelry, all of our diamond jewelry is made according to our rigid quality standards. A selection from our vibrant collection of gemstone jewelry can add a bit of color to your wardrobe. Our designers have created a showroom full of unusual gemstone styles, featuring every color of the rainbow. From fine red rubies, to cobalt blue sapphires and green emeralds, the talented artisans in our gallery have created an impressive variety of designer colored stone jewelry. Along with traditional gems, you will find exotic pieces holding rare, one-of-a-kind gems, in shapes and colors that are not seen at traditional jewelry stores. Since we create our own products, one at a time, we have the opportunity to work with unusual and rare materials that are not abundant enough to be used in mass-produced pieces. Our buyers of colored stones search amongst world suppliers for gem materials to be used in our extraordinary designs. Connoisseurs of colored gems will appreciate our selection of loose stones. 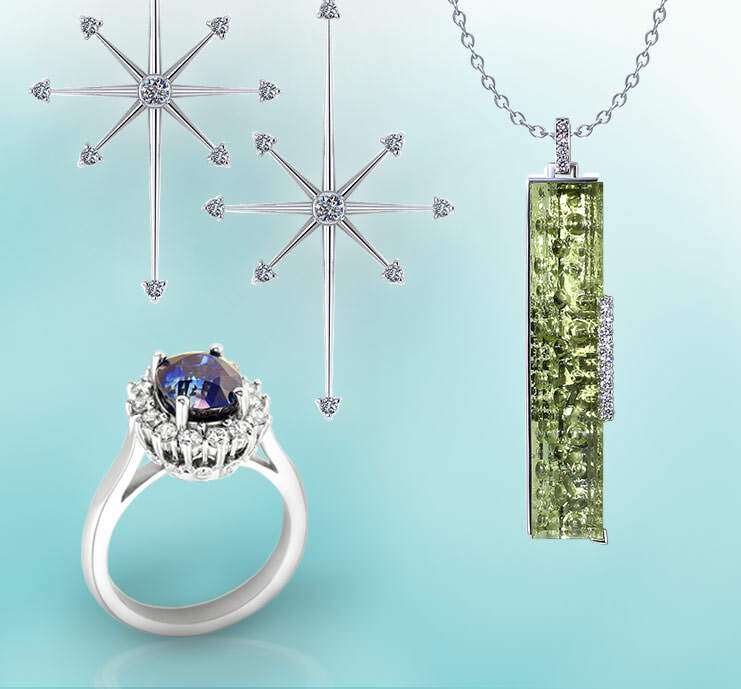 You can select a jewel from our collection, and a master jeweler can create custom jewelry just for you. Our artisans and designers will guide you through a palette of precious stone options, including luscious opals, aquamarine, tourmaline and sapphire. For thousands of years civilization has been adorned by gold jewelry. Symbolic in matrimony, a statement of faith, awarded for valor and displayed as wealth, gold has been worn and coveted since its discovery. Once available only to royalty, gold jewelry is now enjoyed by people the world over. Until recent history, virtually all gold jewelry was created from yellow gold. In the 19th century, Russian jewelers added silver and copper to gold to create rose gold jewelry. At the time of the First World War and through the Roaring 20’s, the western world preferred white gold. Shortly thereafter, yellow gold became the dominant precious metal, and remained so until the millennium. Although rose and yellow gold jewelry are still in demand, there is no doubt that white gold jewelry continues to be the favorite. Whatever color of gold you prefer, you will find an extensive and diverse array of fashion and design options in our showroom. With a team of creative jewelers inspiring new designs in gold each day, you will be pleased with the number of innovative styles from which you can choose. We would be flattered to have you visit our location, and browse through our unique gold jewelry creations, so you may witness the exceptional workmanship of our craftsmen.